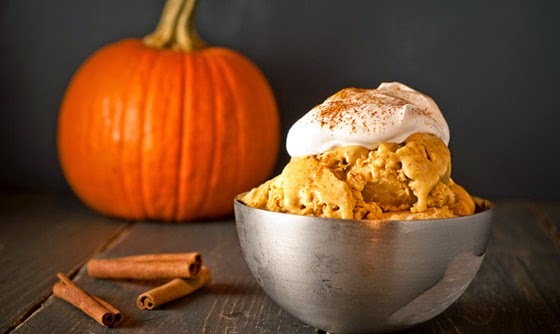 "Take your pumpkin puree and add plenty of pumpkin pie spice and stir it up and add a little brown sugar (optional) and stir this up and add it to a quart (or a half-gallon, depending how much pumpkin you have) of softened vanilla ice cream and you will have delicious pumpkin ice cream." Wow that sounds so great! I am going to have some ready for my family this Thanksgiving! That sounds Soo good, and doable!